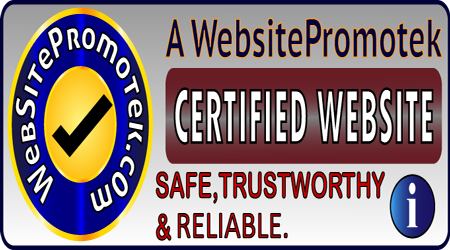 On the main category page, click on the product or service you wish to order. Select your choice of 'Currency' (do not choose INR if you are ordering from outside India). Select the Item 'Size' (if applicable). Select the 'Quantity' (if required). Then click on 'BUY NOW', which will add the item to your virtual shopping cart. You may 'Keep Shopping' or continue to browse our Site till you wish to send your order and payment. To place your order, click on the 'CHECKOUT' button which is on every Webpage of the site. You may view the items you have ordered and their total value, at any time, by clicking on 'View Cart'. You may choose from any of the on - line or off - line methods of payments listed in the Order Form after you click on 'Checkout'. Complete the Order Form, select your choice of payment, agree to the 'TERMS' and then click on the '<< SUBMIT >>' button at the end of the page. This link will provide you with details about available PAYMENT OPTIONS. If you are making your payment on - line, you will be asked to proceed to a Secure Payment Gateway viz. CC Avenue or PayPal. If you wish to pay through an off - line means of payment, a printable version of the order form will be generated. Please make a printed out, then fill in the details of your payment instrument by hand, sign the form and mail it to us. You may also make a copy of the Order Form and keep it for your own records. If you do not have a printer attached to your computer, just save the page and print out later. An e-mail confirming the details of your order will be sent to you, within 24 hours of your placing an order. If you do not receive confirmation, please 'Contact Us'. To change your currency, quantity or order or to remove an item from your basket, click on, 'View Cart' and confirm your changes. This button is located on the top left corner of every page. You order an astrology report, two packs of Fortune Telling Cards and a Mantra, you get a 10% discount on the total value of your order, in addition to one free locket for your order of two packs of cards. 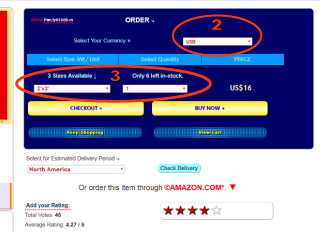 The above discount is only applicable on a single order of three or more items. Our aim is to dispatch your order within 1 - 3 business days, of the receipt of the order and payment. Delivery of orders can be made to almost all international destinations and will be delivered through Registered Air Mail, http://www.indiapost.gov.in/ (Speed Post within India). A receipt number for your parcel will be obtained from our Post Office of dispatch and this will be e-mailed to you. For an estimate of the delivery period for your region, please view this page. Although Registered Air Mail is not trackable upto the point of delivery, we can obtain information about your parcel, against this receipt number from our postal service, should the need arise. Someone may be required to receive your parcel on delivery. Your order will be delivered through your local postal service. Delivery to international destinations may require two to eight weeks, from the date of dispatch. Please remember, the exact delivery period depends on the postal and customs services invloved and can vary from country to country. Registered Air Mail parcels cannot be booked to P.O. Box addresses. If you have a P.O. Box address, please try and provide an alternative, non-P.O. Box address in the Order Form. Orders for our products are dispatched from our location in Nahan, India unless the specific order can be fulfilled by ©Amazon.com. If delivery through ©Amazon.com is available on a particular item, this will be indicated on the page for that item. For Mantras, orders will be executed as e-mail attachments, sent to the e-mail address provided in the Order Form, after receipt of order and payment. For Mantras, please only choose an online payment method (by Credit Card or by making an online bank transfer), payment by Western Union Money Transfer, or payment by Money Order (within India Only). Each attachment will contain the ordered Mantra's MP3 file and a text file with an English transcript. For ordering an astrological prediction, a tarot reading or an Astrology Compatibility report, please confirm your questions by choosing an online payment method (by Credit Card or by making an online bank transfer), payment by Western Union Money Transfer, or payment by Money Order (within India Only). Customers may exchange any purchased item or items, in an undamaged condition within a 45 day period of receipt of the goods, if the purchased goods are found to be unsatisfactory in any way. Customers will be required to bear one - way return Postage and Packing charges, from their end to ours. Purchased goods may be exchanged for items of equal cost, at no extra charge, or items of greater cost, by paying for the difference in the price. This exchange policy only extends to purchased goods and not to purchased services, such as astrological readings. All prices are inclusive of Postage & Packing and all other charges. You will only be charged the final amount shown when you Checkout. There are no additional or hidden charges. The value of your order will also be displayed in Indian Rupees (INR) for our internal calculations. You will pay the exact equivalent of the amount shown in your currency of choice. Orders will only be dispatched after the realisation of payments. 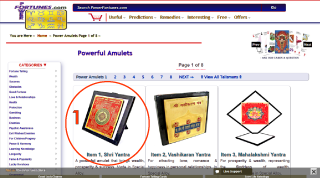 Orders are usually dispatched within two business days, however all items dispatched by ©PowerFortunes.com are done so on astrologically favourable dates, which on occasion, can extend this dispatch time. However, your order will be dispatched within seven business days under all circumstances, unless stated otherwise. Please remember, these are not everyday, off-the-shelf items. Any additional customs duties, taxes or delivery charges, if applicable after an order has been dispatched, will be bourne by the purchaser. The delivery of ordered items is at the risk of the purchaser. Any loss sustained in transit will be at the purchaser's risk for which we will not be liable. The delivery period mentioned in our 'Order' and 'Dispatch' confirmation e-mails are only estimates and the actual time taken to deliver your order will depend on your Postal and Customs departments/agencies. Customers are solely responsible for ensuring that the postal address provided is correct and one at which orders can be received and signed for, if required. Additional charges will be applicable for re-sending returned parcels. Customers are responsible for ensuring that all e-mails sent from us concerning orders placed with us, are delivered to your e-mail account Inbox by excluding the 'powerfortunes.com' domain from any e-mail filters and/or adding our e-mail address, to your e-mail account contacts, Address Book or whitelist. If any changes are to be made to your order, this must be conveyed to us within 24 hours of the placing of your order. You accept to provide ©PowerFortunes.com with your personal information for the purpose of executing your order. All personal information submitted to ©PowerFortunes.com is kept in the strictest confidence and is not shared with, or divulged to any unauthorised outside agencies, such as 'Marketing Profilers', advertisers, spammers etc. Each of our items is individually made by hand, hence ordered items can differ slightly in design from those shown on this site, however the purpose, specifications and effects of each item will remain as described on this site. We accept no responsibility and will not be liable for any loss arising directly or indirectly due to any predictions, astrological/Tarot related advice/services/products or due to inaccuracies in future predictions made through this Web site. To find out why, visit our page on astrological predictions. '©Power Fortunes' reserves the right to amend, change and alter these Ordering Terms without prior notice. '©Power Fortunes' agrees to handle all disputes/claims within 7 days. 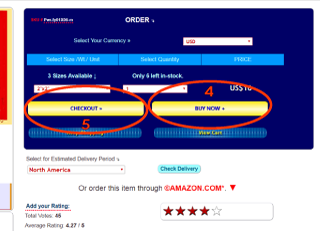 Cancelled orders will be charged a US$5.00 processing fee. The only e-mails sent to you will be those concerning your orders. However, other important information about our website, products and services may be conveyed to you by e-mail, in the future, if required.